After a year's rest, the Franco-Swedish, sibling duo, Herman Dune, is returning with their latest and 10th full-length, STRANGE MOOSIC. With the assistance of Funny or Die, the eccentric brothers created a music video for its track, "Tell Me Something I Don't Know". 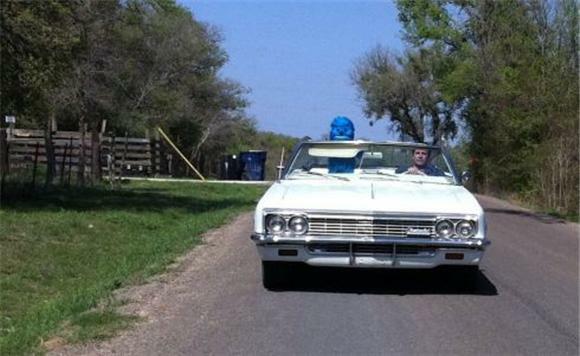 In the video, Jon Hamm picks up a hitchhiker, who happens to be a tiny, blue yeti. Attempting to explain the outlandish dynamics would be fruitless, but halfway through the bizarreness, Herman Dune chimes in with their undeniably charming melody. STRANGE MOOSIC is set to release May 20. This isn't Herman Dune's first dabble in puppetry. Check out their viral classic for "I Wish That I Could See You Soon".